Football fans, rejoice! 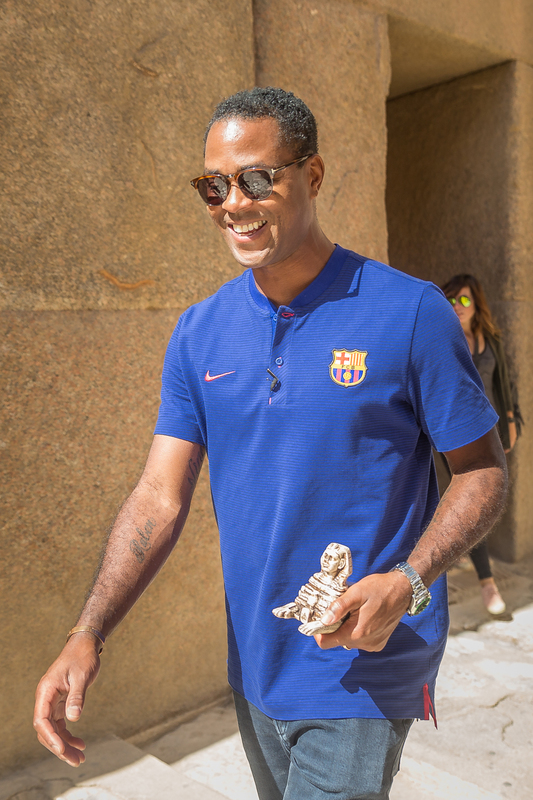 Former FC Barcelona footballer Patrick Kluivert visited The Giza Pyramids and the Sphinx during his short trip to Egypt, and the pictures look amazing. “Kluivert will be taking part in a press conference held by Emirates NBD Egypt to announce their new strategic partnership with FC Barcelona,” Weber Shandwick told us. The partnership will feature the launch of a prepaid card, in addition to co-branded platinum and classic cards, in efforts to support the Central Bank of Egypt’s financial inclusion initiative — and attract new customers to join the banking sector. 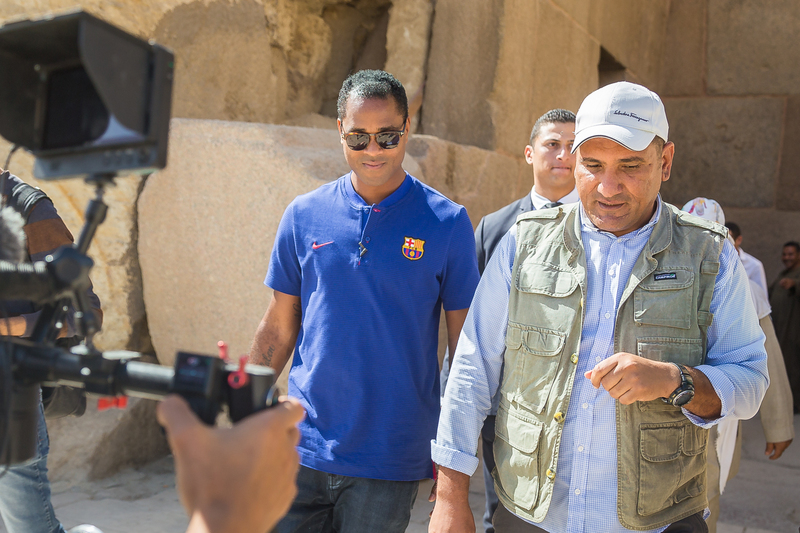 During his private tour, Kluivert expressed his deep admiration for the prominence and grace of The Pyramids and the Ancient Egyptian civilization. WE SAID THIS: Més que un club!